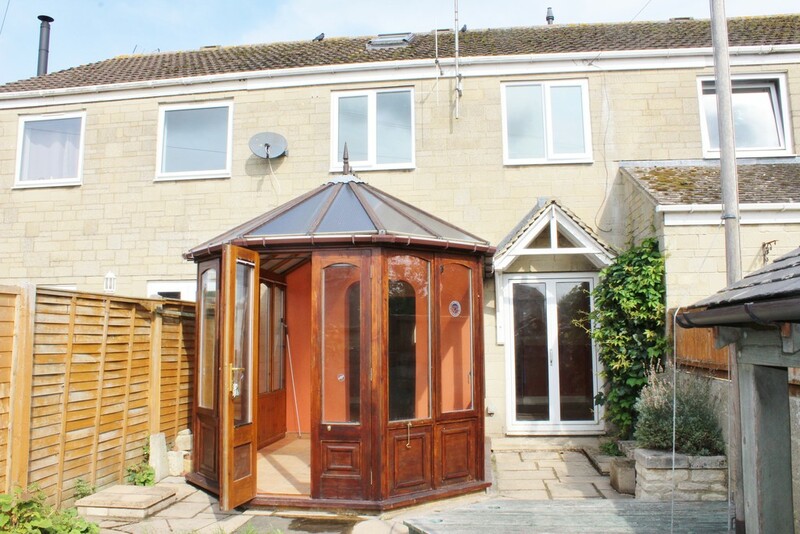 A SPACIOUS mid terrace in cup de sac location. REFITTED KITCHEN, sitting room, CONSERVATORY/DINING ROOM. Gardens and TWO PARKING SPACES. ENTRANCE PORCH Entrance door with obscure glazed leaded lights. Windows to sides. Paved flooring. Built in utility cupboard. ENTRANCE HALL Staircase to first floor. Tiled flooring. Radiator. KITCHEN 14’10 x 8’8 Window to front. One and a half bowl single drainer sink unit with mixer tap inset into a rolled edge worksurface with cupboards below. Further range of refitted wall and base units. Tiled splashbacks. Tiled flooring. 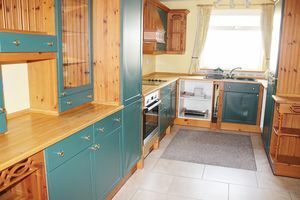 Four ring Diplomat hob with extractor above. Built in Diplomat oven. Archway to sitting room. 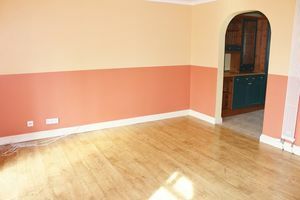 SITTING ROOM 15’6 x 12’3 Wood laminate flooring. Television point. Wall unit. 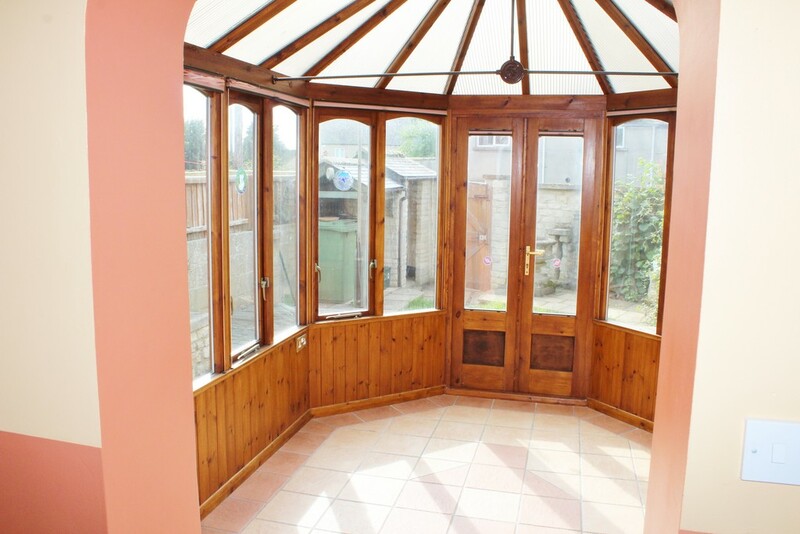 French doors to garden. Archway to conservatory. 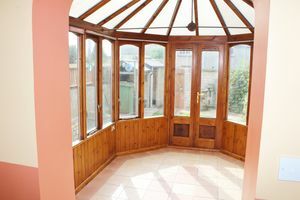 CONSERVATORY/DINING ROOM 11’4 x 8’6 Doors to garden. Tiled flooring. LANDING Roof access with boiler for domestic hot water and central heating (fitted in March 2014). BEDROOM ONE 12’6 x 8’9 Window to rear. Radiator. Built in wardrobe. BEDROOM TWO 12’7 x 8’9 Window to front. Radiator. Built in wardrobe. BEDROOM THREE 9’6 x 6’6 Window to rear. Radiator. BATHROOM 8’11 x 6’6 Window to front. 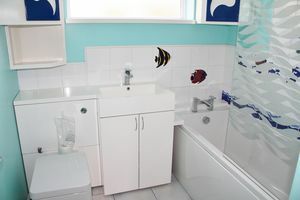 Refitted suite comprising of a panelled bath with shower over. Vanity unit. Low level WC. Tiled surrounds and tiled flooring. Radiator. Built in linen cupboard. OUTSIDE To the front, a pathway leads to the entrance. Laid to lawn. TWO ALLOCATED PARKING SPACES There are two spaces designated by the lines. OUTSIDE The rear garden is southerly facing and enclosed by walling and timber fencing. Pedestrian gate to rear. Decking and a patio used as a BBQ stand. Lawn with paving stones. Stone built store and adjoining dry store. FAIRFORD Fairford is a small market town in Gloucestershire. The town lies in the Cotswolds on the River Coln, about 6 miles (9.7 km) east of Cirencester, 4 miles (6.4 km) west of Lechlade and 9 miles (14 km) north of Swindon. Nearby are RAF Fairford and the Cotswold Water Park. The town’s secondary school is Farmor’s School, an 11-18 co-educational Academy. The school is judged to be of outstanding standard, having achieved grade 1 in its Ofsted inspection in 2010. The Church of England parish church of Saint Mary is renowned for its complete set of medieval stained glass, stone carvings and misericords. Built in the early 1490s, the church is an example of late Perpendicular Gothic architecture that is characterised by slim stone window mullions and light but strong buttresses. Grade 1 listed by English Heritage, St. Mary’s is of national historical and architectural importance because it houses the most complete set of mediaeval stained glass windows in the country. 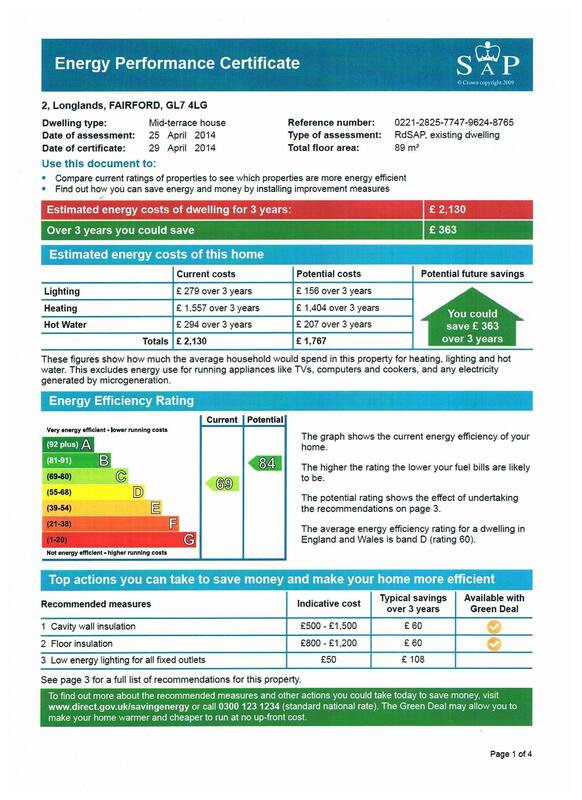 GUIDANCE NOTES FOR APPLICANTS Our agency fee is £250 per property, inclusive of VAT. A charge of £20 applies per additional adult in residence. If a guarantor is required a further £70 will be payable. These fees are non refundable. 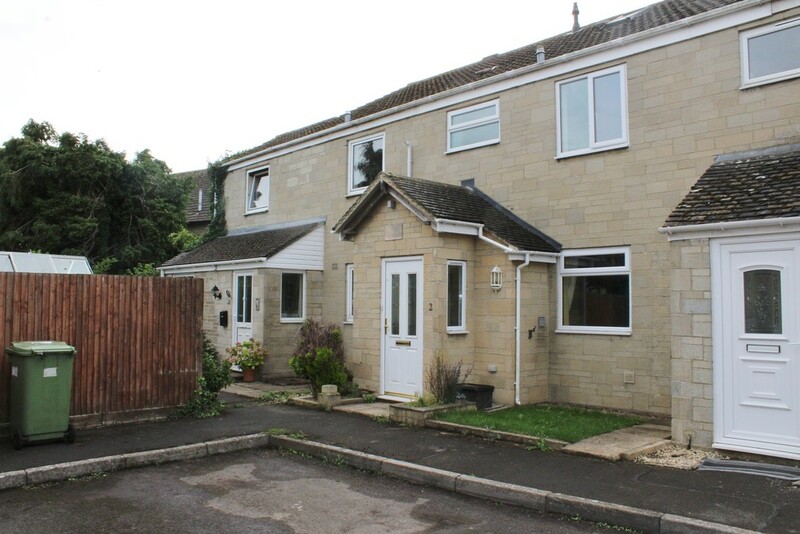 To follow is the procedure when renting a property from Ridgeway Estate Agents. All tenants and guarantors must sign the tenancy agreement on or before the start date of the tenancy, in Ridgeway`s office by prior appointment. You should seek independent legal advice if you are in any doubt prior to signing the tenancy agreement. You will be given a schedule of condition/inventory report for properties we manage. A £30 check out fee is payable which will be deducted from the deposit. The keys to any property will NOT be given to tenants or their representatives before all the legal papers are completed and/or the start of tenancy. On or before the start of the tenancy we MUST have in cleared funds, one month’s rent and the equivalent amount plus £200.00 as a bond deposit. (An additional pet bond may be needed if pets are allowed). Future rental payments MUST be made by STANDING ORDER on the agreed date of each month. Ridgeway is a member of the Tenancy Deposit Scheme, administered by the Dispute Service. The registration fee is £15 and is payable on signing the agreement. Details are available on request. We may require the deposit to be paid once satisfactory references are obtained, if the move in date is over 2 weeks away. We recommend Accidental Damage cover insurance to protect your deposit. Competitive quotes available on request. The tenancy will be for a MINIMUM of twelve months unless stated otherwise. After the initial period, one months notice must be given in writing to end the tenancy. It is strongly recommended that when you select a property it suits your needs prior to signing any contract or even completing the attached reference forms, i.e. you should check whether children, pets or housing benefits are permitted. Please ask if you are in any doubt. 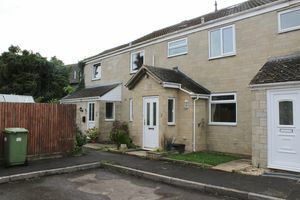 Your tenancy will not commence unless Ridgeway has proof of residency at your current address, a utility bill or bank statement would be acceptable. We will also need a record of your National Insurance Number and a Copy of your Passport or Photo Driving Licence as proof of identification. All payments can be made in cash or debit card. You may use a credit card but there is a 4% charge for this. We accept cheques but we will need to allow 7-10 days for this to clear. 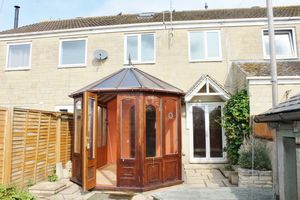 If all the correct information has been completed correctly, we are in receipt of satisfactory references and the property is ready we will agree a moving in date. This can take around 10 working days. Please note Ridgeway reserve the right to decline applicants if the above is not adhered to.